Wow Factor: how much for this combo? Oppo has done it again. 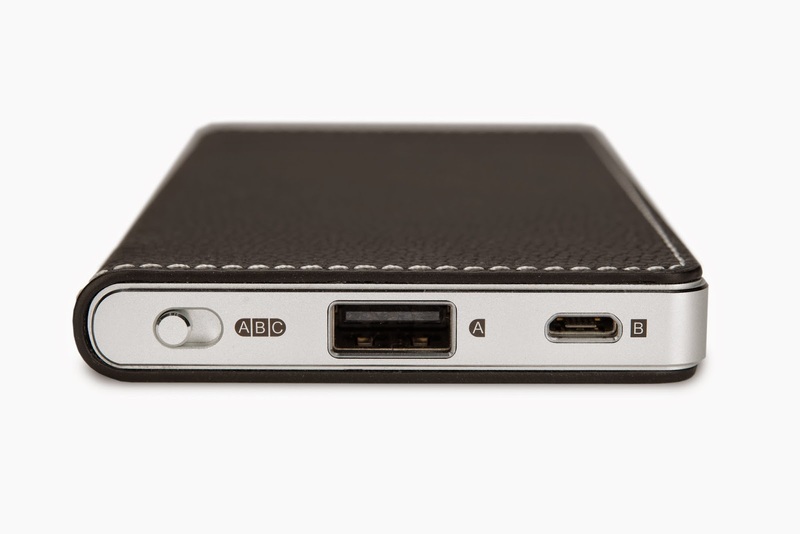 Like its niche-busting BDP-95, BDP-105 universal players and HA-1 premium DAC, the innovative electronics company has come up with another winner: the HA-2 portable, battery powered, DAC/headphone amp. At $299, the HA-2 is an impressive, smart-phone sized DAC; it can decode up to 32-bit/384 PCM, quad-speed DSD, and can drive almost any kind of headphones, including Oppo’s top-of-the-line PM-1, as well as their other models including the PM-3 tested in this article. With its hi-res USB 2.0 input doing most of the connectivity tasks, the icing on the cake is that the HA-2 also has an analog input, which makes it dang near compatible with almost any audio device: Android, iPhone, iPad, computers, etc. Plus, it can charge your phone or tablet, if either needs a shot of DC java to keep it going, From an audio quality perspective, the DAC is just as impressive as its feature set, especially with an Android tablet/phone and the USB Audio Player Pro software player. Even versus its big brother audiophile HA-1 DAC preamp, the HA-2 reveals a similar, essential sound signature that belies its under $300 price tag. As for its closed back headphone companion, the new PM-3, introduced concurrently with the HA-2, it is a steal at $399 — offering abundant sonic detail and ample bass wrapped in a planar-magnetic driver smoothness. And the HP is featherweight light and comfy. All in all, the tandem definitely is definitely worth the money. Equipped with the ESS Sabre32 Reference ES9018-K2M mobile DAC chip, the HA-2 is a 32-bit-capable, up to 32/384 PCM and 5.6 MHz DSD over DoP playback. The smart-phone sized DAC sports a high/low-gain switch, 1/8th-inch headphone amp out, analog volume control, two USB ports (USB A female, Micro USB female) and an analog in/out 1/8th-inch jack for line out and line in, depending on the setting of the I/O switch. The HA-2 package comes with a Lightning-to-USB connector cable for iPhone/iPad connection, a USB A Male to Micro USB Male cable for charging and computer link-up, and a custom micro USB male to micro USB male OTG cable for use with Android devices. The built-in, high-capacity lithium battery can run in excess of 8 hours, and can even charge your smart phone or tablet. The HA-12 is supplied with a fast charger that outputs 5V at 2.5 amps to 80 percent, then reduces current for that last 20 percent of charging. The HA-2 can be mated with Mac, PC, Android and IoS devices that have onboard players via USB or from the analog connection. Either way, you can play any kind of audio from MP3s, FLAC, ripped CDs, linear PCM or DSD. The analog-to-analog 1/8th jack cable allows those with non-digital input devices to take advantage of its superb headphone amp. 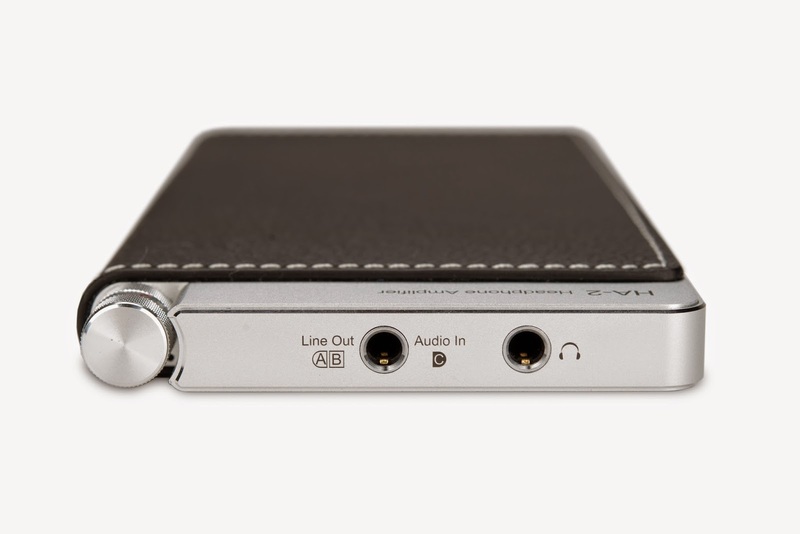 Like its niche-busting BDP-95, BDP-105 universal players and HA-1 premium DAC, the innovative electronics company has come up with another winner: the HA-2 portable, battery powered, DAC/headphone amp. At $299, the HA-2 is an impressive, smart-phone sized DAC; it can decode up to 32-bit/384 PCM and quad-speed DSD. Onboard players that come standard on smart devices are often limited on the hi-res playback pathway, but there are third party software players that bypass the digitally limited internal playback systems for computers and mobile devices. These third party programs — such as USB Audio Player Pro for Android and Audirvana, JRiver, and Vox for Mac computers — enable playback of ultra-high sample rate PCM and DSD playback. This high-res playback is where the HA-2 really excels; just plug into the USB and listen to your favorite hi-res tunes from your HD Tracks downloads or original recordings that you make at home. From a mobile audio device perspective, I have used the Android-based USB Audio Player for two years with great success in playing up to 32/384 PCM (test files), and up to 24/384 PCM and DSD 5.6 MHz audio files. The HA-2 fits in perfectly with these kinds of software players. The HA-2 controls its volume in two distinct ways. By mapping USB volume control commands to the Sabre DAC chip's internal digital volume control, the user can adjust the signal volume using the playback app or software — without losing audio resolution or causing bit truncation. The HA-2's analog volume control knob can then be used to further adjust for a comfortable listening level. Speaking of control, the HA-2 also has a bass boost function switch that is implemented purely with the analog audio circuits, adding about 6 dB of boost in the 80 Hz to 180 kHz frequencies. We did not measure the HA-2’s audio parameters, but an Oppo spokesman said that signal-to-noise from the low-voltage, low current circuit is in excess of -108 dB. Pretty darn good for a battery powered mini-DAC! The PM-3 planar magnetic headphone is similar in look and styles as the $1,200 PM-1 released last year with the flagship HA-1 DAC/line/HP amp. But Oppo has managed to squeeze in planar-magnetic driver technology and comfort in this closed-back budget audiophile headphone, which retails under $400. Planar magnetic design drivers has been around for about 40 years. It is basically a hybrid design utilizing the principle of magnetic speaker design and electromagnetic design. 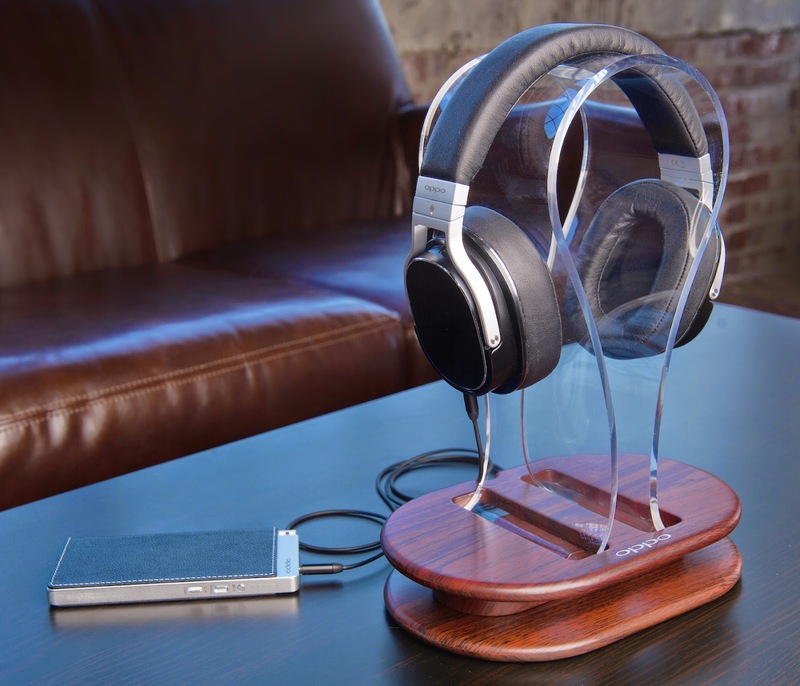 Like a dynamic headphone — with its standard magnet drivers — planar magnetic headphones use a magnetic field that surrounds a conductor, which has an electrical current flowing through it to drive the speaker diaphragm. 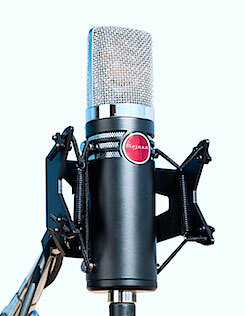 Planar magnetic drivers are noted for their smooth, slightly warm, musical tones without excessive top-end harshness. And in recent years, companies such as HIFiMAN and Audieze have been part of the technology's resurgence. The PM-3 has been pared down in materials and ultimate design versus the premium price PM-1, but much of the PM-1’s essential design was incorporated into the PM-3. 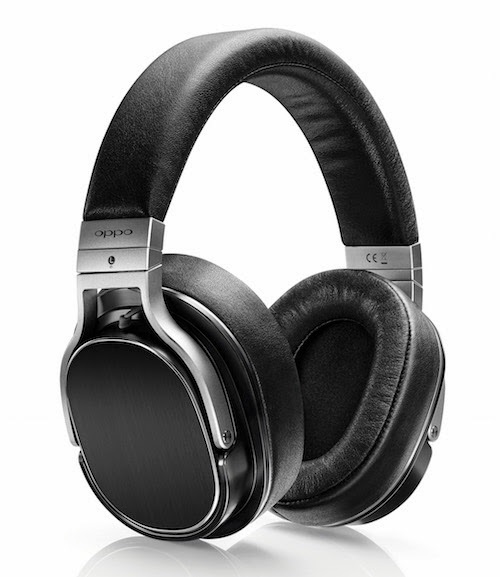 The Oppo HPs features 55-mm planar magnetic drivers, utilizing a symmetric, push-pull, neodymium magnet. 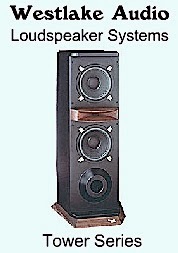 The PM-3 was designed by Igor Levitsky, a noted acoustical engineer, who has been a speaker designer for more than 30 years. The PM-3 specs include 102 dB sensitivity at 100 MW input power. The PM-3 is said to be the lightest planar magnetic closed-back headphone on the market, weighing in at 10 ounces; its light weight is the result of using lighter weight driver and headband materials. Though lightweight, the PM-3 fit just fine around my ears with adequate clamping. when I moved my head about. The headphones come with a denim carrying case, an audiophile 3-meter cable with 1/4 phone jack adapter. Optionally, you can buy an accessory cable that also has a built-in mic for smart devices listening and talking. 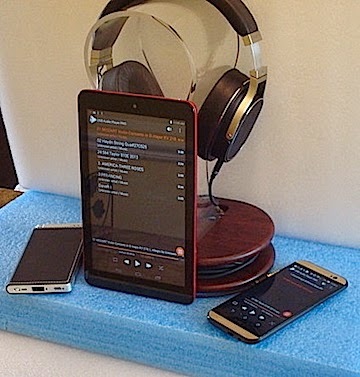 I connected the HA-2 to various audio output devices for this test, including a 2015 Apple iMac, an HTC smart phone, and Dell Venue 8 Android tablet. The smart devices were linked to the HA-2 via the supplied OTG link cable. The computer was connected via a USB A male-to-USB B male cable from Wireworld’s Starlight brand. Other USB DACs on hand included a Benchmark DAC-2D, Oppo HA-1 and USB-input Resonessence Concero HP, which is bus powered. I also compared the HA-2 to current portable player/DAC/HP amp combos, such as the Astell and Kern AK-100 and the HIFIMAN HM-802, which are considerably more expensive than the DAC-only Oppo HA-2., but remember they have a built-in player. Other headphones were also brought into the review: Shure SRH1840, AKG K702, Sony MDR-7510, and Oppo’s PM-1 flagship. My first listening scenario was using the Oppo with the HTC HK Edition smart phone, updated with the Lollipop Android version. Using the supplied special OTG cable and two supplied neoprene bands, I hooked the phone and HA-2 together make a singular unit. Its is bit hefty in weight compared to standalone players, but the two units tied together have a robust, high-end feel. 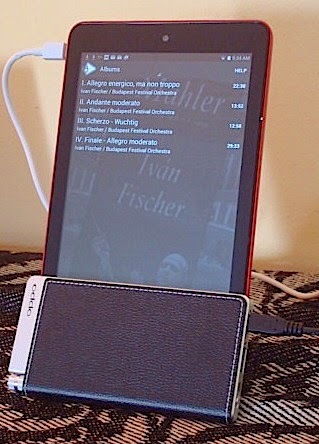 Upon first play of various Hi-Res Jazz and Classical tracks, my first impression of the Oppo combo was one of awe. How did Oppo squeeze in such high-end sound into such a low-cost DAC? Listening to a dub of Kenny Burrell - Midnight Blue SACD at 24/192, this jazz guitar and accompanying band recording relays its sound via a generous, full stereo image. The cut "Midnight Blue" personified that ESS Sabre32’s smooth, yet quick attack on the transient tones, such as drum cymbals. It makes for a satisfying hi-fi listening experience. Through the PM-3s and the other headphones auditioned with the DAC, the signature was similar, taking into account variations in the HPs. The HA-2‘s easy-to-listen character puts some audiophile high-DACs to shame in the smoothness department. This DAC generates zero listener fatigue. 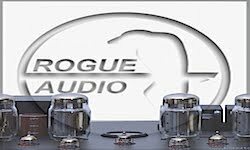 I had a number of readers ask me about the HA-2 compared to the Oppo HA-1 audiophile DAC. Ultimately, the HA-2’s sonic width and depth is not the equal of the Oppo HA 1 (remember it has a $1,299 price tag) and discrete HP amp) or a Benchmark DAC2, but you know you are listening to hi-res through this DAC. 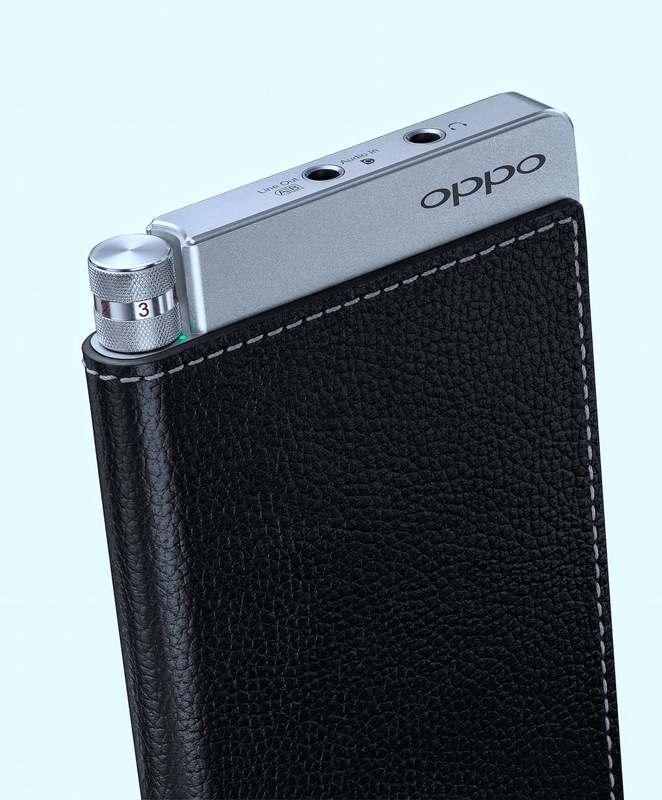 Compared to the AK 100 hi-res portable player, the Oppo is slightly warmer and smoother on top. The HIFIMAN player mimics the Oppo smooth character, but through my headphones, the Oppo seemed a smidge more spacious in the stereo image. however, neither of the player/DACs play 24/352.8 (DXD) downloads, such as 2L. On playback of the ultra hi-res (24/352.8 DXD) Mozart Violin Concerto 1 (2L), the HA-1 really did a good job with the detailed recording’s violin harmonics, as well as the dynamics of the orchestra. And yet again, not a hint of any harshness on the top end. In switching musical genres, I played the 24/96 20th Anniversary of Nirvana - In Utero, never considered the epitome of hi-fi. Considering its low-fi, Grunge roots, I was surprised by how much the remastered tracks revealed: way more separation among the guitar, bass and drum layers, and much tighter tone of Curt Cobain’s distorted Fender guitar. Again, I was impressed with HA-2’s ability to decode and play this album with only the intended sonic haze being relayed. For the money, no competitor can touch the compact, self-powered HA-2 DAC. You can use it with your smart phone, tablet or your computer software players, analog or digital output. Heck, you can even use it with your main audiophile system. On my ears, I found the PM-3 feel nearly perfect: the light weight definitely enhances the long-term wear factor, and they did not clamp too tightly. Speaking of ergonomics, the standard cable does not have the audiophile cachet of the PM-1/PM-2’s, thickly wrapped audiophile cord, but it is easier to manage since it bends much easier than big brother’s nylon wrapped cords. For computer listening, I connected the HA-2 to my iMac, and played from several different software players. Audirvana worked hitch free, up to 24/384 (my own home brew guitar recordings), and numerous HD Tracks downloads and various other recordings. The HA-2 and the PM-3 HPs came in handy when I wen to my beach house. I used the Macbook Pro and the Oppo duo for a length editing session on some vinyl ripping I had done at 24/192 A/D via a Benchmark ADC1 A/D converter. With the Oppos' in hand, I recorded the LPs in Audacity, then edited out the into surface noise and the outro surface noise, then enjoyed the sonic results of my work. As with the smart devices, the LP-dub audio from the computer to the HA-2 sounded fantastic. 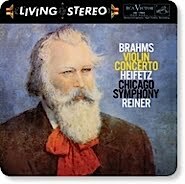 The original LP had enhanced separation, and I heard every bit of that wide stereo image through the HA-2. From a functional standpoint, I had no problems with the HA-2. Its two USB ports come in handy for variable device matching, and its long-life battery netted me almost 9 hours of continuous play through headphones. As claimed it will charge a smart phone, but you cannot charge the DAC battery and the phone battery at the same time. It took four hours to charge the HTC battery, at 6 percent remaining, using the HA-2’s USB A female output jack; at, the end of the charging cycle, the DAC battery was significantly drawn down. On other phones and tablets (such as my Dell Venue 8) you can use an OTG/charge adapter and charge the phone and DAC at the same time when using a USB Hub. Highly recommended for Android devices. One thing I would like to see Oppo add to the DAC is an auto shut-off function. I ran the battery down to zero four times times during the review; I kept forgetting to turn it off. The little power indicator lights are not enough of a reminder to turn it off. Thus, an auto turn-off that puts the unit to sleep (after a fixed number of minutes of being idle) would enhance battery longevity. The other oddity noted was the initial lack of 32-bit pathway recognition when using Apple computers. I discovered that the HA-2, initially, did not show up as a 32-bit DAC in the Mac’s Audio settings. Apparently, a software variable prevented the Mac from seeing the DAC’s 32-bit option. I alerted Oppo to my discovery and they developed a firmware upgrade, which enabled the 32-bit pathway. (Publisher's Note: Before I get criticized about how 32 bit PCM is pointless, I am aware there are no 32-bit recordings, and almost no 32-bit recoding gear, but I am sure it will come in the near future. There are DACs that have the playback capability, including the Oppo HA-1 and HA-2, as well as TEAC UD-501. In the meantime, I have created 32-bit integer test recordings by upconverting 24-bi files. There is no sonic improvement since the 32-bit is not native, but this upconversion allows me to see if 32-bit DACs recognize the 32 bit integer tag of my test tracks). One other ergonomic note about the HA-2. Although I like the idea of attaching the DAC to a smart phone with the neoprene bands. It is an inelegant docking solution. Positioning of the band can cover up portions of the phone display and you can scuff up your phone. It would be great if Oppo, or an accessory company, could come up with a case that holds the two units and allows for easy access to controls and the cable ports. For the money, no competitor can touch the compact, self-powered HA-2 DAC. You can use it with your smart phone, tablet or your computer software players, analog or digital output. Heck, you can even use it with your main audiophile system via an 1/8th-inch-to-RCA adapter out the analog port. 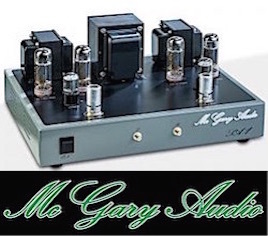 It won’t beat the big boy DACs, but you are in the ball park. 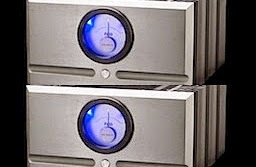 And how many $300 DACs can decode ultra high sample rate music to 384, and quad speed DSD? I carry the HA-2 everywhere I go when I want to listen to hi-res on my HTC phone or Dell tablet. And I have gotten in the habit of throwing it in my laptop bag when I go out for recording tasks. There are numerous scenarios in which the HA-2 can accomplish the task. computer, phone, tablet. You can even hook the analog output of an iPod to take advantage of the HA-2’s extra HP gain. The PM-3 planar magnetic is very good companion headphone that is hi-fi enough, lightweight and, again, quite inexpensive for a serious headphone. If you buy it with the DAC, you have a dandy little, hi-res DAC/HP monitor system for under $700. Ain’t that a reason to give the tandem an Everything Audio Network Stellar Sound Award? I think so. Thanks for a great review. I've actually just purchased the HA-2 and am also very impressed by the calibre of sound coming out of it! The one disappointing thing as you've highlighted is you can't charge the DAC and your phone at the same time. You mentioned you could do so by using a USB hub, but I'm just wondering if you were able to use the phone/DAC combo at the same time? If you could let us know how that was setup it would be a great help! You can charge the phone/tablets while playing through some Android phones, tablets. You have to use an OTG with a charge cable, plug that into a hub. Thus, the phone/tablet will slowly charge. However, because you cannot charge and play via single USB port input on the HA-2, you can do one or the other because the switch selects which port is active. Both cannot be active. I use the HA-2 with a HTC android phone, Dell tablet and asus tablet. The DAC lasts long enough that I don't worry about out running out of juice. Keeping the player device charged is the key. I have found that Android devices handle the charging via OTG differently. Most of them don't indicate they are charging, even though they are. Some don't work at all. My suggestion is keep the phone/tablet charging via the OTG, and don't worry about DAC. I am really impressed with the HA-2; we are awarding it a 2015 Product of The Year Award shortly.